General Information: Group tour of Narran & Kaghan. In this tour you can visit Shogran, Sri Paya, Saif-ul-Maluk, Lalazar and Kaghan. All places are very attractive and beautiful. You can enjoy each and every moment of your tour. Tour Type: Group Tour consist of Couples and Families only. 1st overnight stay at hotel in Shogran. 2nd & 3rd overnight stay at hotel in Naran. Destinations: Visit & Sightseeing from Lahore or Islamabad to Shogran, Sri Paye, Kaghan, Narran, Saiful-Maluk & Lalazar. Children: Rs:12,500 per child -(3 to 12 years age) 50% of adult charges apply. Infants: < 3 years FREE. Round Trip from Islamabad to Naran Kaghan Valley Destinations. Transportation along with fuel, driver, driver’s food, driver’s accomodation, parking and toll taxes will be provided by PakTrip.com. Jeeps for visit to Sri Paye, Saiful Maluk and Lalazar. Toyota A/C Saloon Coaster with fuel. 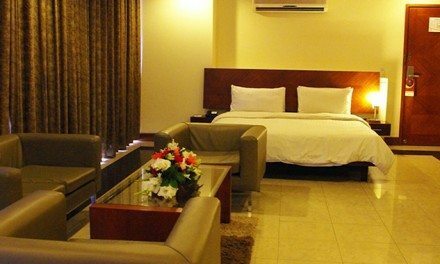 Rooms on twin sharing basis (two persons in one room). Children will share room with their parents. Mattress will be provided if required. Breakfast will be provided Free during hotel stay. Dinner Buffet meal will be provided during Hotel Stay. Welcome drink will be provided. Group tour is for families and couples only. 10% to be paid at the time of Booking in order to confirm your reservation at first come first served basis, remaining 90% to be paid at/before start of the tour. Shogran is a village situated on a green plateau in the Naran Valley, northern Pakistan at a height of 2,362 meters above sea level.From Shogran, you can ride a jeep or horse or hike to several picturesque places like Siri, Paye and Makra Peak. Naran is the best base for treks and walks in the valley. The water of saif ul maluk is clear with a slight green tone. The clarity of the water comes from the multiple glaciers all around the high bases which feed the lake.The Nathiyagali is located in the lower Himalayan range at an altitude of 8,205 feet or 2501 m. Walnut, Oak, and Maple trees as well as pines add to the tranquility of this serene place.In Ayubia enjoy the coldest atmosphere take a ride of Chairlift and u can watch the adventures scenes during the ride of chair. KAGHAN. Its mountains, dales, lakes, water-falls, streams and glaciers are still in a pristine state. Kaghan is at its best during summer (from May to September). This is the hill station of Shogran. The views are breathtaking. On one side are the Black Mountains of Kaghan Valley, and the other side gives you a view of Mountain. Makra. One can also hike all the way to Mountain. Makra (1 day hike). If you like climbing this is a place for you because there are mountains all around you. You can explore the scenic and picturious landscape and valley’s by climbing up hiking.. If you like fishing get your fishing license we have trout and mahasheer for you fishing here for tourist is must. 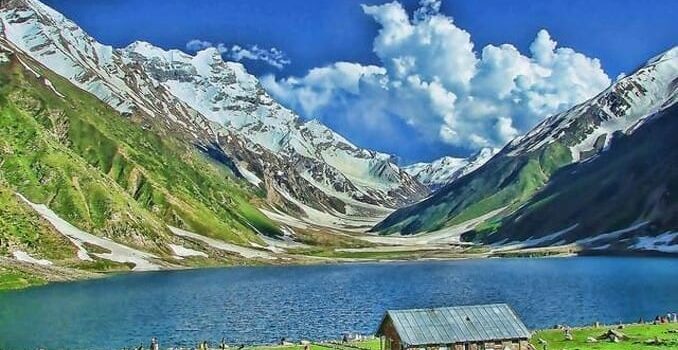 Here you can Visit Lake Saif-ul-Maluk. It is one of the very beautiful lake, you can enjoy your full day at Saif-ul-Maluk lake. Lalazar which is situated at a height of almost 11,000 feet above sea level, Lalazar is accessible by jeep road starting from battakundi in Kaghan. The jeep track leading up to it is quite treacherous but the beauty of the place makes up for it all. Kaghan, a heavily populated forest of black bears and leopards, which do incalculable harm to the crops and young trees. Killing a bear is a big game and you’ll get reward for shooting down a bear from forest officer as well as from the peasants. Besides these you’ll be able to find Muskdeer, har and goral, Chikore and Himalayan pheasants all over the valley. And if you’ll go a little higher you’ll be able to find red bear, snow leopard and ibex. Jeeps for managed tours as per itinerary if required. Couple/Family – Accomodation on twin sharing basis. Children: (3 to 12 years age) 50% charges apply.